Life is calling. How far will you go? When I was ten years old my grandpa and I went to Honduras to visit my aunt, who was serving in the Peace Corps. During the two weeks I was there I learned a few key phrases in Spanish (¿donde esta el bano? ), experienced a new culture, made new friends, learned how to make tortillas from scratch, and was awoken early each morning by a rooster. The experience made me look at the world from another perspective and made me appreciate many of the things I took for granted living in the United States, such as clean water, education, and paved roads. That trip was a pivotal moment in my life; I promised myself that I too would one day join the Peace Corps. In May 2006, my dream of serving in the Peace Corps came true when my husband and I departed the United States for Bolivia, a land-locked country in South America. We arrived in the city of Cochabamba, where we spent three months in training. Half the day we took Spanish classes and the other part we learned about Bolivian culture and gained more skills in our project areas. We were part of a group of 30 other volunteers. Each of us lived with a different Bolivian host family. After those three months of training we were officially “Peace Corps Volunteers” and we were then sent to our sites, where we would spend the next two years. 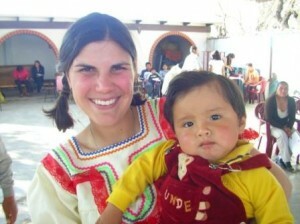 My husband and I were placed in Huacareta, in the region of Chuquisaca, a rural village of about 1,000 people. My main project was to work with the schools in and around Huacareta. I worked with teachers, introducing them to a more interactive teaching style. I also taught children and women’s groups the importance of sanitation, nutrition, dental hygiene, AIDS/HIV prevention, and computer skills. One of the most rewarding experiences was working with a women’s group to start a peanut butter-making business. The women learned about proper food handling, the nutritious benefits of peanut butter, accounting methods, and working together as a team with specific roles. I thoroughly enjoyed working with them; throughout the process the women and I shared many stories and laughter, and I was able to learn so much about them. I also got to witness the empowerment that the women felt from earning their own money. Joining the Peace Corps is one of the best experiences of my life. I got to be immersed in another culture, learn a new language, make new friends, and most of all, I got to learn much about myself. Since being back home in the United States I have connected with other returned Peace Corps Volunteers and shared with others about Bolivia. Other benefits include a readjustment stipend, deferment of student loans, reduced graduate school tuition, noncompetitive eligibility for employment in the federal government, and of course the professional skills gained during service such as learning another language, cross-cultural understanding, and international experience. My advice is to do your research about the program and talk to as many returned Peace Corps volunteers as you can about their experience. I love quotes and one that I think about often is by Samuel Johnson – “When making your choice in life, do not neglect to live.” Each day in the Peace Corps definitely made me feel alive. Posted in Career Exploration, Career Services, International Opportunities, Networking, Post-Grad Plans. Thank you for your inspirational post. I am a doc student at OSU and a high school college and career counselor. Many students I’ve worked with over the years have had aspirations of joining the Peace Corps. Sadly, I’ve never had a student accepted. As you can imagine I’ve become discouraged about encouraging students to aspire for this and admit to some personal feeling of negativity related to their disappointment. I will even some judgment that the Peace Corps might be rather elitist organization. Please help me understand what I need to know to help my students prepare themselves as attractive candidates for the Peace Corps. I want to believe the Peace Corps is willing to accept students with a variety of intelligences, gifts, and talents. Thank you for your inspirational story, it encouraged me to contact you to learn more about the application process! Thank you for your post. 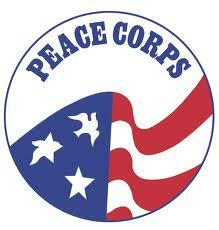 I am happy to provide more information about Peace Corps and the application process. The Peace Corps is looking for people who are dedicated to public service, flexible in where they serve, and have a skill set to offer, which many people gain through a bachelor’s degree or through 1-3 years of professional experience. Currently, the assignment areas are education, health, agriculture, community & youth development, environment, business & information & communication technology. The Peace Corps seeks applicants from a variety of backgrounds and experiences and from personal experience, the group of volunteers I served with came from all over the United States, from many different cultures, and each person had something unique to offer. Since the application process takes time, many applicants choose to not further their application because something else comes up such as going to grad school, getting a job, family responsibilities, etc. I hope this gives you more insight into the Peace Corps and please contact me in the future if you have any questions.